In honor of Mother’s Day, The Sentencing Project is proud to celebrate the contributions of five leading advocates who are prioritizing the issues confronting women and girls in the criminal justice system. Kemba Smith is the founder of the Kemba Smith Foundation, which provides resources to people impacted by the criminal justice system and educates the public on substance use disorder, domestic violence, teen pregnancy and other topics that address the root causes of crime. 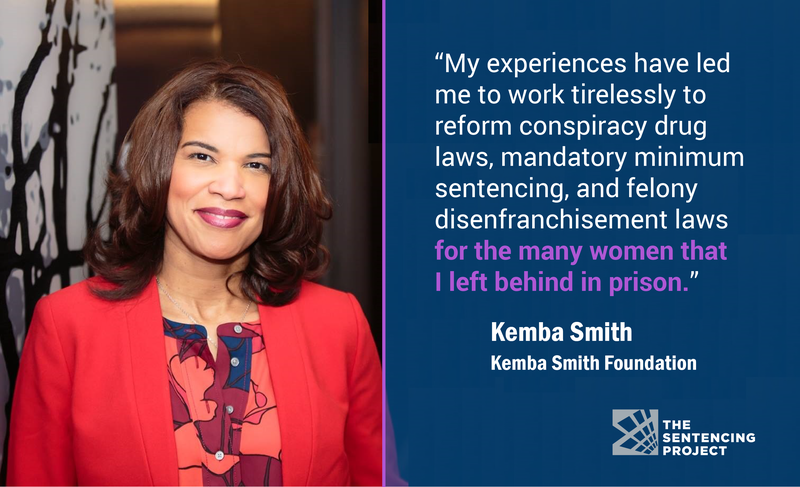 “My experiences have caused me to advocate tirelessly towards reform of conspiracy drug laws, mandatory minimum sentencing, and felony disenfranchisement for the many women that I left behind in prison. I was fortunate in the fact that I had a job, lived with my parents and I was reunited with my son. The reality is that some women are not as fortunate as me. 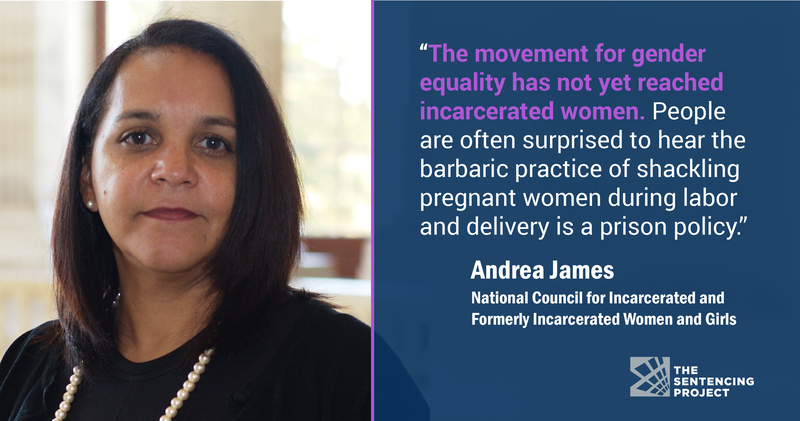 Andrea James is the Executive Director of the National Council for Incarcerated and Formerly Incarcerated Women and Girls. The National Council works to end incarceration of women and girls by providing a membership platform of technical support, complex coalition building, and comprehensive resources that assist local initiatives in promoting criminal justice reform. “As both a criminal defense attorney and formerly incarcerated woman, I know firsthand that the criminal legal policies of this country have very little to do with addressing crime, and everything to do with the oppression of black people. Women of color in particular, leave incarceration and return to their communities with little support and resources, and often struggle to reunite with children. Many went to prison due to choices they made based on poverty, and now they are in a deeper state of poverty as a result of that incarceration. 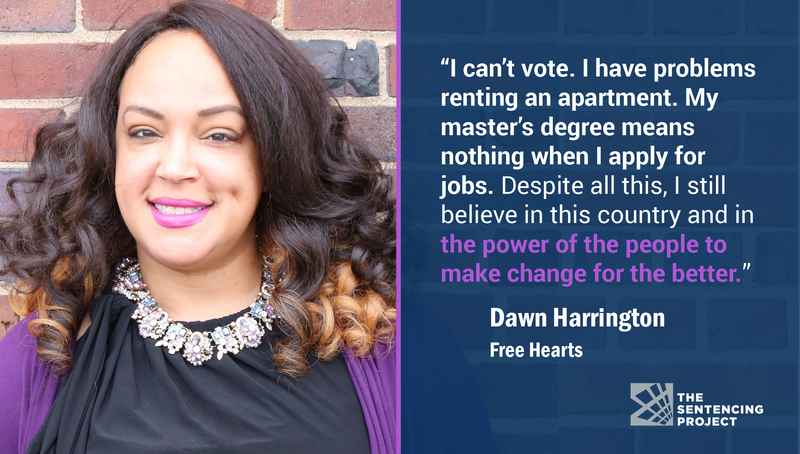 Dawn Harrington is the Executive Director of Free Hearts, an organization that provides support, education and advocacy for families impacted by incarceration in Tennessee. 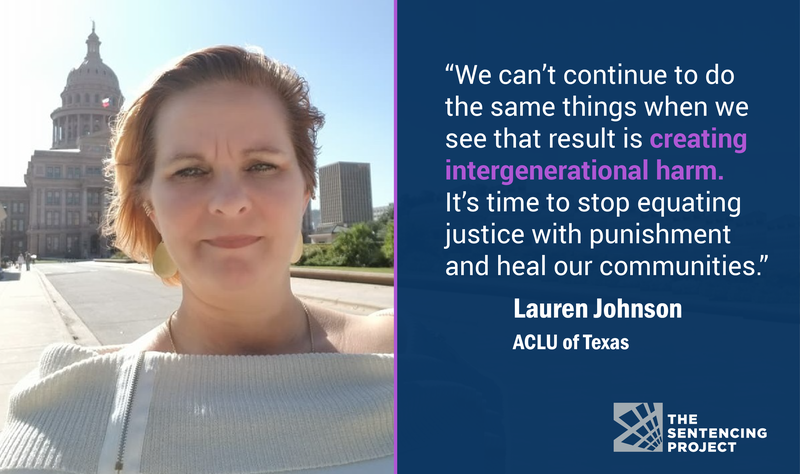 Lauren Johnson is the Criminal Justice Outreach Coordinator with the ACLU of Texas. 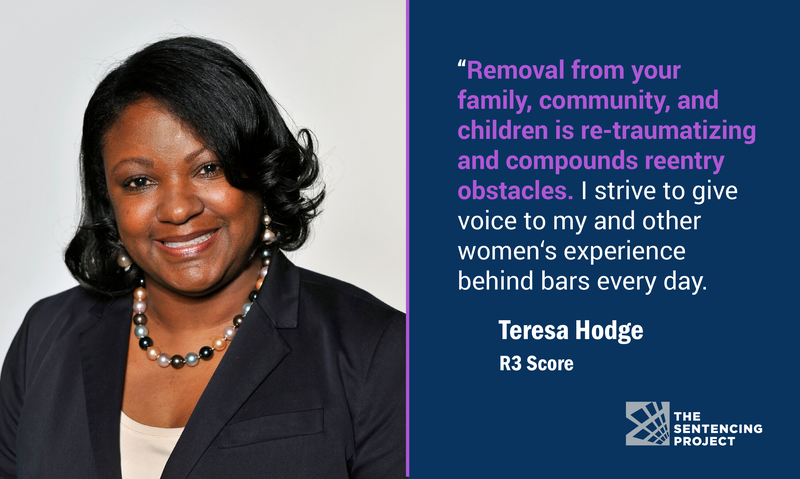 Teresa Hodge is the founder of R3 Score, a web and mobile tool that helps increase employment opportunities for people with an arrest and/or conviction record.